Annie was my favorite movie as a kid. I watched it so much that I broke the VHS tape. Multiple times. When I heard they were re-making Annie I was like, "Yay!" But then I heard there would be...changes. For instance, Annie would not have red hair. 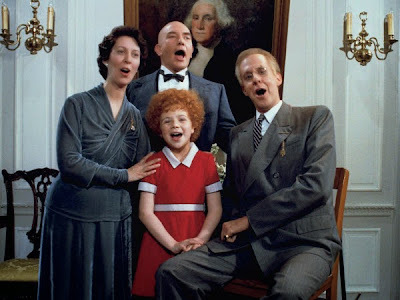 There was no Daddy Warbucks. And it was set in present day. Still, I knew I'd have to give it a chance. I took my kids to see it, and you know, it was still sweet. It still had the heart of the original. 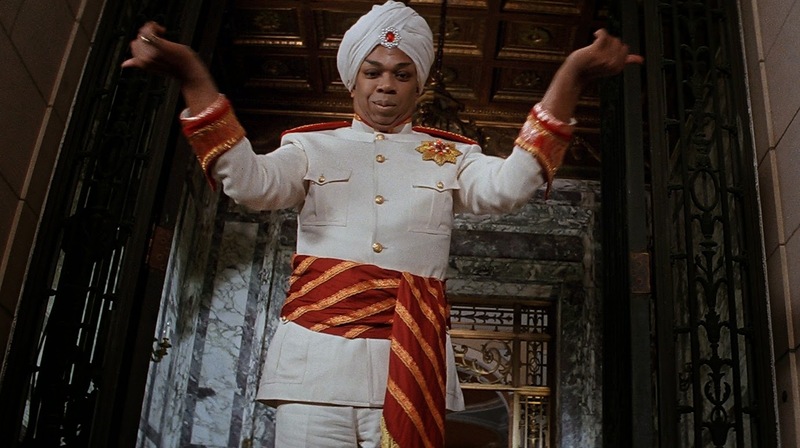 See, Daddy Warbucks is now Mr. 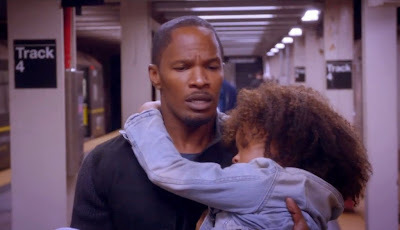 Stacks, played by Jamie Foxx. He's still super rich...but he's just not...he doesn't sing the lovely songs Daddy Warbucks did. For instance, he started singing some song about New York while in a helicopter. It wasn't a good song either. He also didn't say, "Let's all go to the movies," and buy out the theater. I was insulted. Also, Miss Hannigan is played by Cameron Diaz. She actually did a good job--but no one can ever do as well as the Carol Burnett. I'm sorry, but Tim Curry belongs in all films. I mean, he SAVED Annie with his HAT! I had a few nightmares as a child that someone would chase me up train tracks and try to make me fall from them. Bottom line? The songs are better in the original. The new Annie is still sweet and nice though. Natalie says she gives the movie "a one hundred." Tommy said the movie was pretty good, and you have to understand, he's 12 and doesn't like much outside of video games. HOWEVER...they have yet to see the original. I'll have to rectify that. I want to see the new one and wondered how much they had changed it. 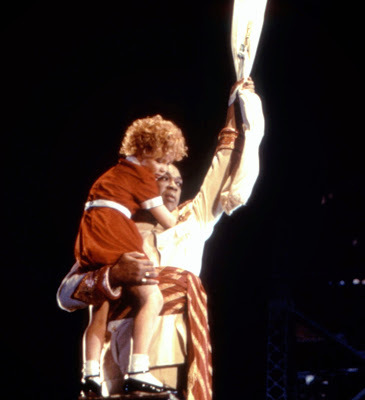 I really love the original Annie. In fact we just watched it again on Netflix. Omg... I had dreams about being chased up a railroad track as a kid, too! Ummm...I'm not sure that I've seen the original either - maybe I will rent it and make the boys watch it with me!!! The actor who played Punjab died and I found out that he lived down the street from where I lived in NJ. I agree about Rooster! I already know that I'm going to prefer the old Annie over the new. BUT I think it's a good thing they didn't do a complete copy because there's just no way to compete. That would definitely fail! I haven't seen the new one, but I completely agree with you about the old one. Yes, Tim Curry does belong in ALL films! I am going to wait to see the new one. I used to watch my Annie VHS ALLLLL the time! I might not even bother witH the new one so that I'm not disappointed. I don't think I'm going to watch the new one. The remake with Kathy Bates and Kristin Chenoweth wasn't too bad though. Netflix has the original Annie on it! I wonder what the kids will think of the old one! I wonder why I can't give you a huge hug for saying Tim Curry belongs in all movies. He does. Miss Hannigan gave me nightmares in the original. That's how it should be! I haven't seen the movie in ages. Was she an alcoholic? I think I need to watch the old version again. but I'm kind of glad the new version is less scary! I just can't. The original was great...why mess with it? I don't know if I'll see it or not...right now I'm on the side of rebelling and not - HA! There are a few movies in y opinion that should NEVER be re-done. Annie is one, so I refuse to see the new one and have it messed up. Netflix has the original Annie on right now and we have been enjoying watching it over and over!! My boys watched the original on Netflix. They liked it but I think they liked the new version better. Kids! I completely agree! I didn't appreciate the new songs, they weren't horrible just different. The Hard Knock Life song threw me-foster kid. I love Annie the 1982 and I also love the 2014 version. The 1982 was great from the signing to the character, but it was also very exaggerated with her climbing and being about to fall and being saved by Punjab. The ending drew tension and excitement, but the movie dragged in the middle. The new version has Annie as a not book smart child, but had plenty of street and life experience that allowed her to manipulate situations to her benefit. The reason why she ended up with Mr. Stacks finally made sense. She was beautiful, glowing, beautiful voice,and definitely more real and relate-able.